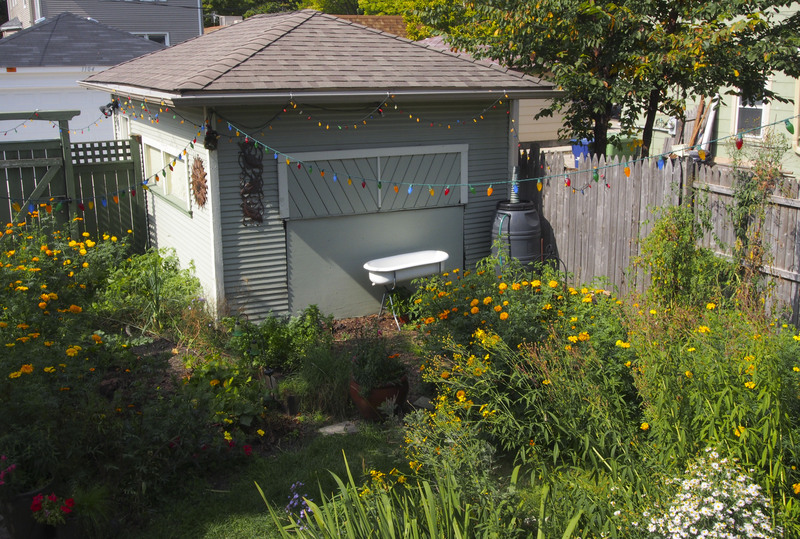 My mild foray into dyeing yesterday inspired me to look at what I had in my own back yard. This was not the year for tomatoes. 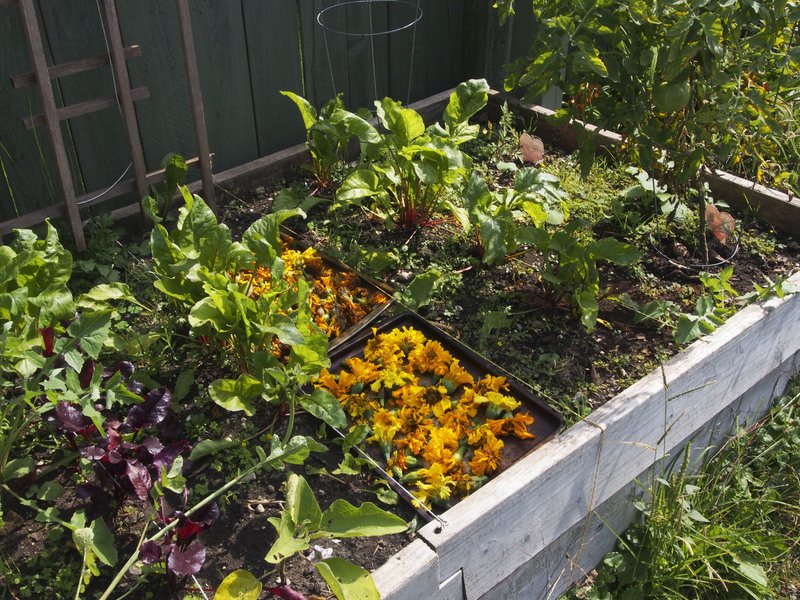 But kale, green beans, swiss chard, and our Heritage Marigolds all did splendidly. 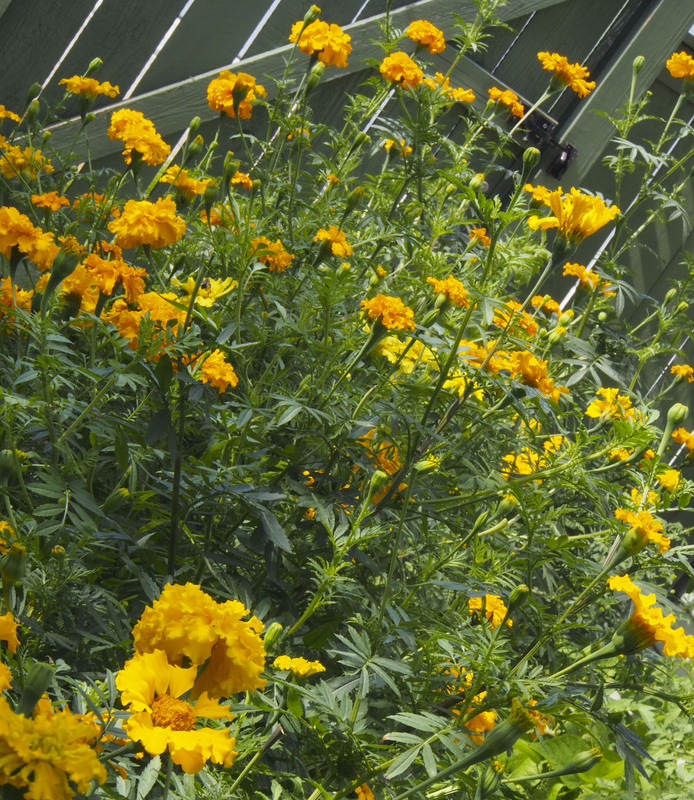 My husband is a sucker for a plant that says heritage, and planted these marigolds to help with keeping the bad bugs at bay. Normally, they would be the small version, these top out at about 4′ tall! Beautiful, but they are shading my tomatoes and peppers. 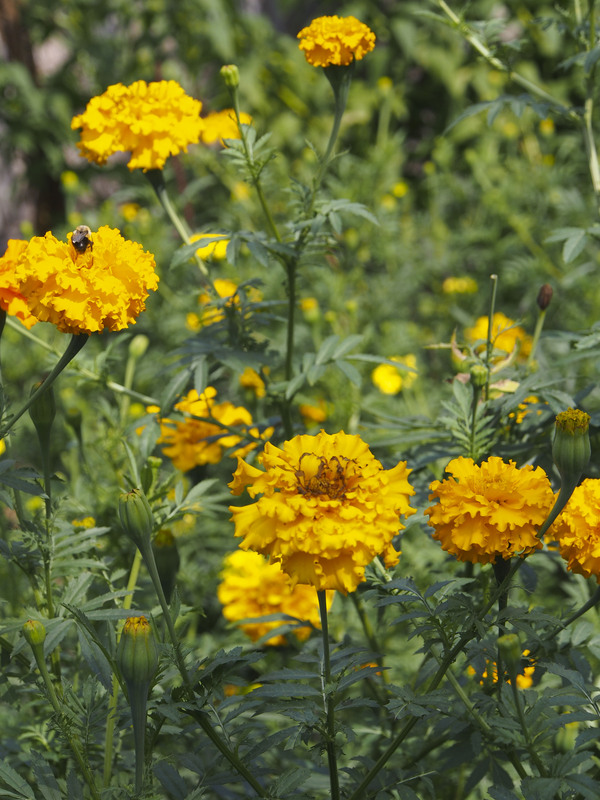 We have had such great pollinators visiting first the native plant gardens, and now the marigolds. 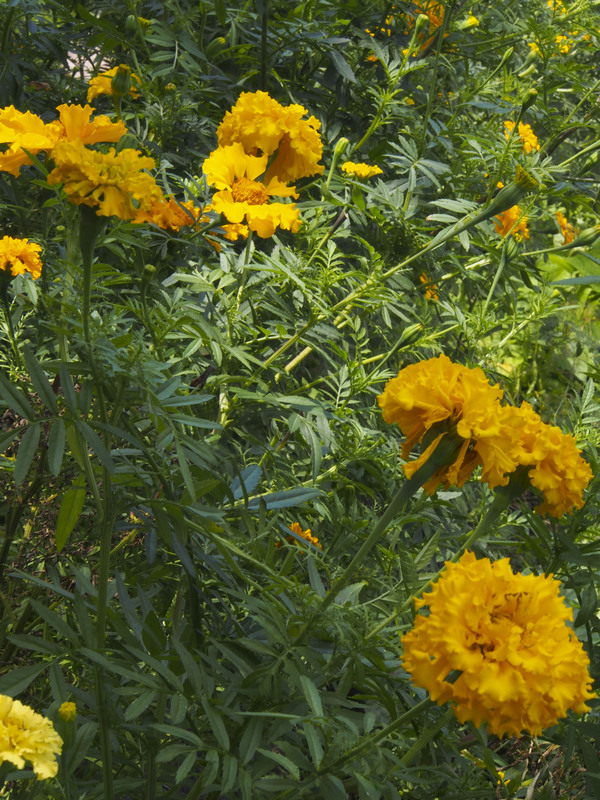 The Monarch butterflies have loved the marigolds also. Notice the pollinator on the left side in the next photo. So, when you have lots of lemons, make lemonade. 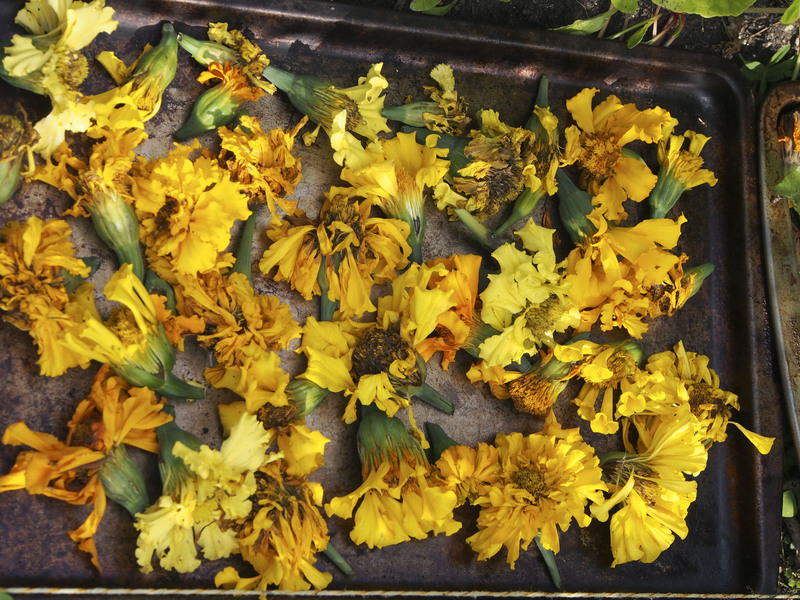 When you have lots of marigolds, cut the flowers for a future dyeing experiment. I have some others drying in the sun right now. Taking advantage of the now open space in the back planters for this experiment. I will continue to collect them for the rest of the Fall, dry them, and save them in a paper bag for a winter dyeing project. Hopefully with a little help from Maggie! 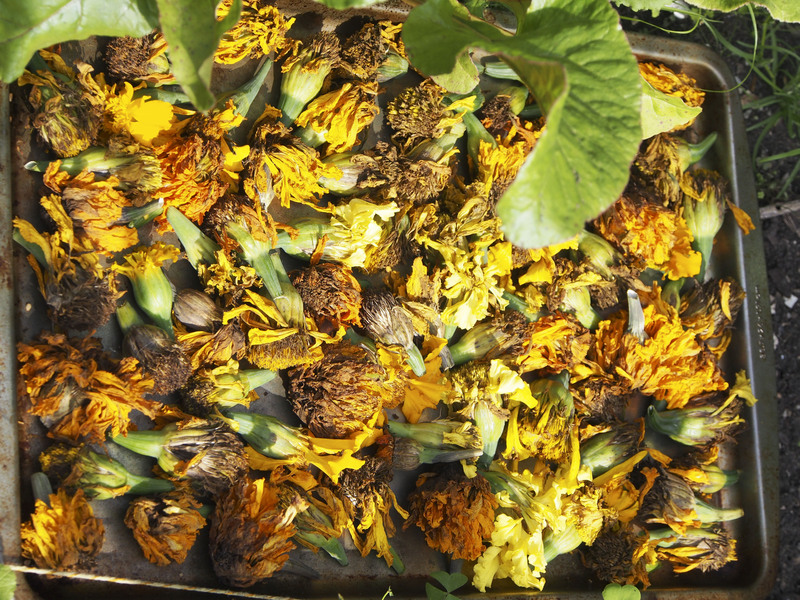 Marigold makes a lovely dye; one of my favorites. Enjoy your dyeing. Thanks, I will be collecting the flowers the rest of the season, then trying it. 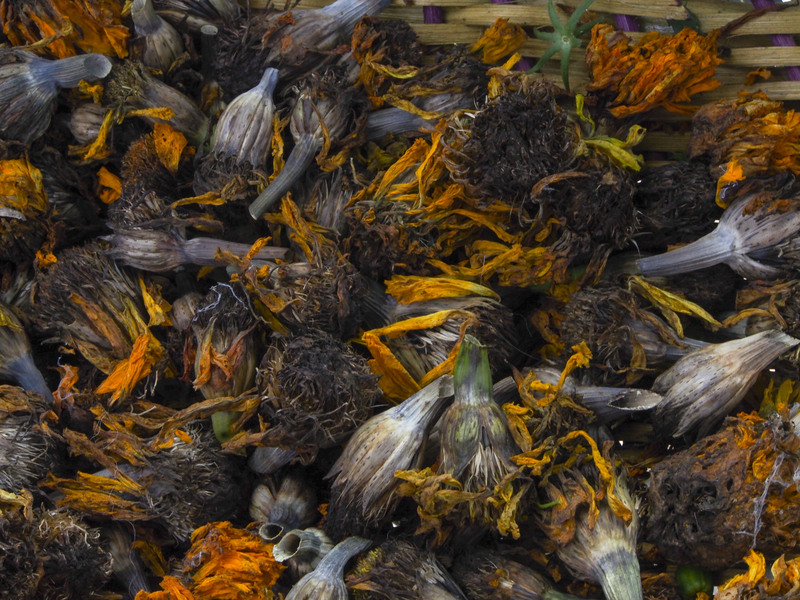 I was also looking at Black-eyed Susan’s, of which I have many, may try that too! If you have tansy or goldenrod in your area they dye wonderfully as well.